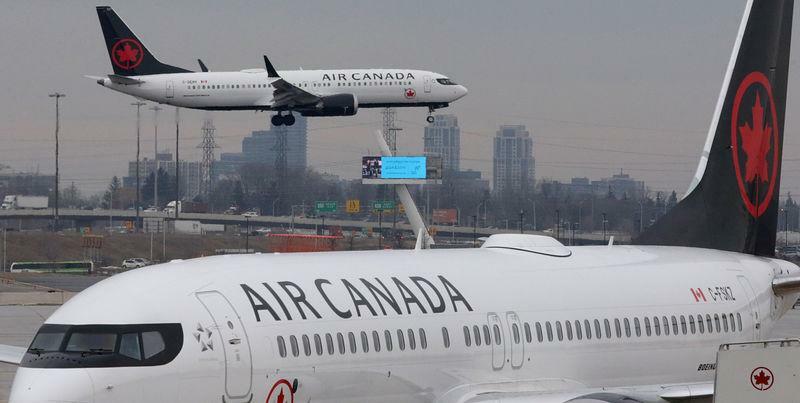 Canada's largest airline announced Tuesday that it has taken several steps to adjust since the Max 8s were grounded last week by Transport Canada as part of an international response to the March 10 crash of an Ethiopian Airlines plane. "The Boeing 737 Max accounted for six per cent of Air Canada's total flying, but there is a domino effect from removing the 737s from our fleet that impacts the schedule and ultimately will impact some customers," Air Canada executive vice-president Lucie Guillemette said in a statement. "To bring certainty to our schedule for our customers when booking and travelling, we are revising our schedule until July and we have taken several steps to continue delivering substantially all of our planned capacity through our global network." Among the routes suspended temporarily by Air Canada are flights from Halifax and St. John's, N.L., to London Heathrow. Air Canada said it remains committed to these routes and will resume service as soon as possible. It's currently re-accommodating customers for those routes over its hubs in Montreal and Toronto. It's also re-accommodating customers for its seasonal flights between Vancouver and Hawaii (Kona and Lihue) as well as between Calgary and Palm Springs, Calif.
Walter Spracklin of RBC Capital Markets says Air Canada's announcement that it can cover 98 of its fleet is positive "as it demonstrates the limited impact this disruption has on operations and the flexibility of Air Canada's fleet." WestJet Airlines — Canada's second-largest scheduled airline after Air Canada — said Tuesday that it had accommodated more than 65,000 passengers that had been booked on its 13 Boeing 737 Max 8s through to the end of April. "More than 85 per cent had little to no changes to their flight schedules," a WestJet spokeswoman said in an email. "We are closely in contact with Boeing, Transport Canada and other regulators to understand how and when to safely reintroduce the Max aircraft into service."